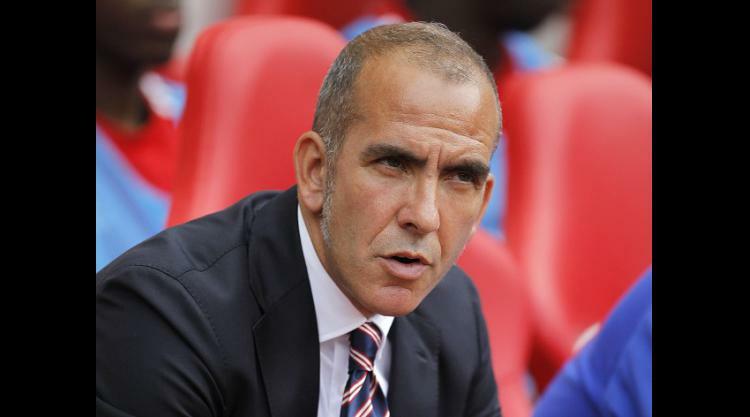 Sunderland boss Paolo Di Canio is refusing to hit the panic button despite seeing his team slip to the foot of the Barclays Premier League table. Saturday's 3-1 home defeat by Arsenal left the Black Cats with just a single point from their opening four games and a daunting fixture list ahead of them. In truth, the game really should have been over by half-time as Arsenal's record signing Mesut Ozil served notice of the impact he intends to make on English football. It took the Â£43million Germany international just 11 minutes to demonstrate his rich array of talents, pulling Kieran Gibbs' long ball out of the air and sending an inch-perfect cross into the path of striker Olivier Giroud, who confidently steered it past keeper Keiren Westwood and into the bottom corner. Ozil simply bamboozled the Black Cats defence and had England international Theo Walcott been able to summon up a finish on either of the occasions on which he was played in by the former Real Madrid star, or when Giroud sent over a 43rd-minute cross, the points would have been secure by the break. But he could not and the home side dragged themselves back into it four minutes after the restart when half-time substitute Craig Gardner converted from the spot after Adam Johnson had been tripped by Laurent Koscielny.